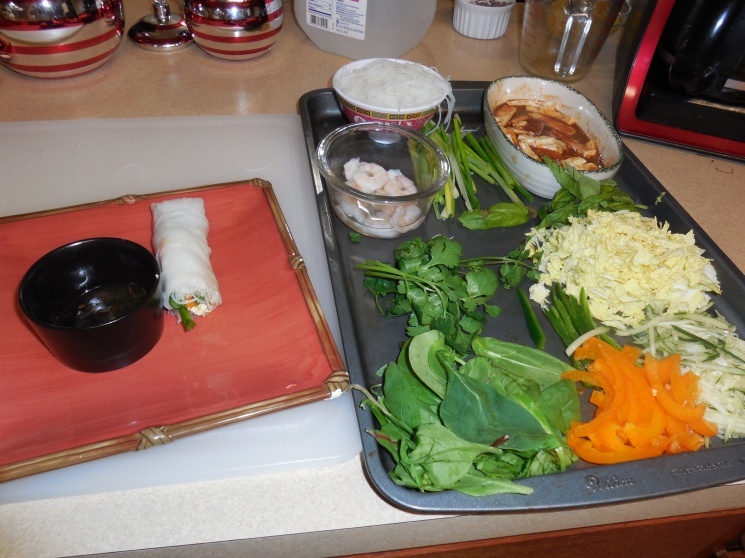 Pour hot/warm water into a shallow dish and add spring roll wrapper, tamp down to keep it flat, and in about 30-40 seconds it will be ready to take out. 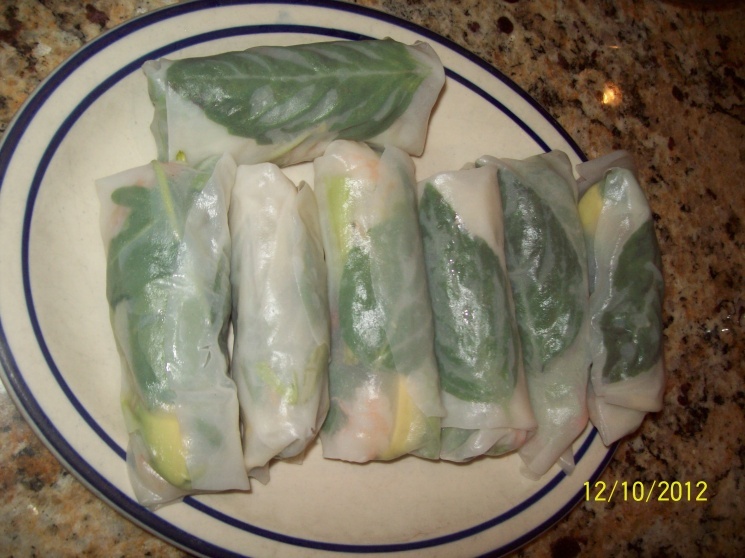 Place the pork, shrimp and vegetables in the lower center of the wrapper (see pictures). Fold the bottom edge up to cover the filling. Then fold the left and right sides together. Roll the wrapper up to the top edge. Set it on a dish and cover. Pour the tamarind sauce over your rolls, top with thinly sliced jalanpeno pepper and garnish with sliced cucumber, spring onion, mint leaves and cilantro. Enjoy!